Having A Bwana Iguana Reptile Adventure? 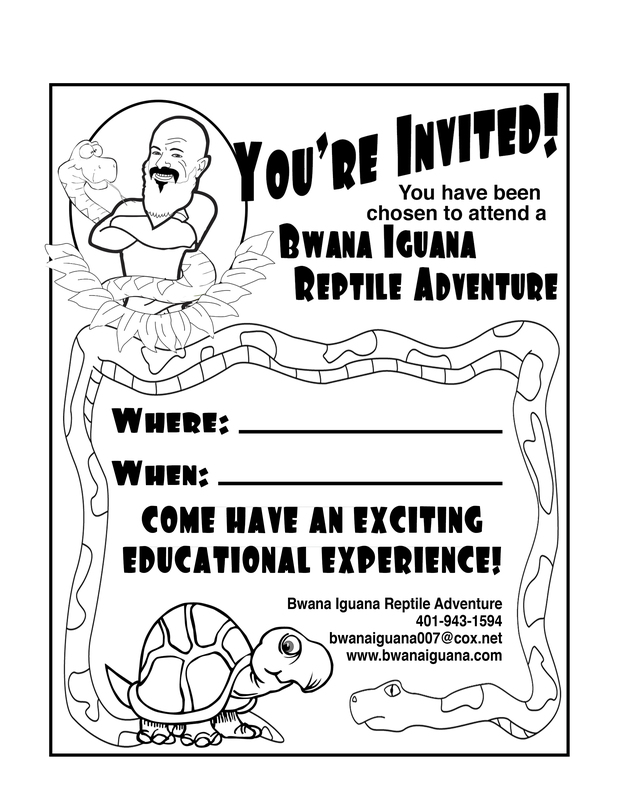 Bwana Iguana has a great way to let your guests know with these colorable invitations! Let your little ones have fun coloring their own invitations that you can print right from home. Copyright © Bwana Iguana Reptile Adventure. All Rights Reserved.